Where can you stream Catch 22? 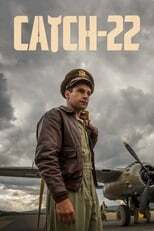 On 2019-05-17 Comedy/Drama TV Series Catch 22 first aired on Hulu. Written and created by , and produced by Smoke House Pictures & Anonymous Content, .